What better place to live than the literal house of God? Talking about holy ground! 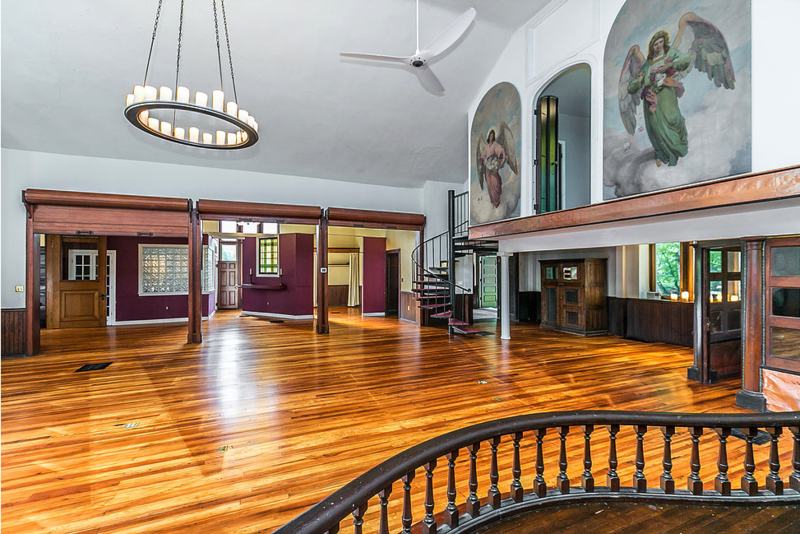 If you're looking for a unique living space, this old converted Methodist church in Stevenson, Maryland, might just fit the bill. Originally built in 1905, the hallowed structure served as the Stevenson Methodist Church until 2000. It was converted into a residence in 2001 and has received multiple updates within the last couple of years, including a new roof, new HVAC system, a four-car tandem garage, and refinished floors. While the home features 6,568 square feet of sprawling living space, there are only two bedrooms and one bathroom. But it makes up for it with original windows, cathedral (literally cathedral) ceilings, a winding staircase, and a loft master bedroom. Located at 1925 Greenspring Valley Road, in Stevenson, Maryland, this lovely church conversion sits on two acres of beautifully landscaped property. Interested? God's house can be your house, too, for $599,000. And who said we couldn't buy our way into heaven?? (I kid, I kid). Check out the real estate listing for more information. What do you think? Is this property a little too unique? Or would you buy it? Tell us in the comments below! Images courtesy of Whit Harvey Group. Last week's Maryland Mansion once belonged to author Tom Clancy! The library alone is worth the $6.2 million.